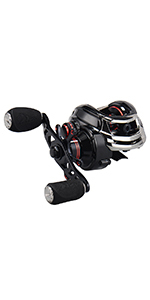 NEW features added - Like its gladiator name, the Spartacus baitcaster is a warrior! 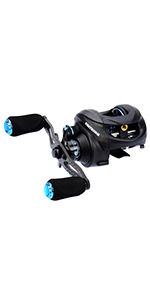 KastKing Spartacus baitcasting reel has the dynamic features you need in the battle for your personal best. 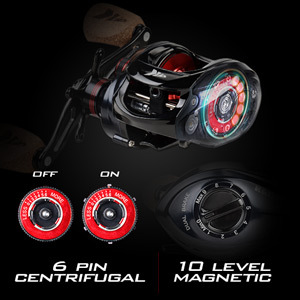 POWERFUL - You will love the exceptional micro-cast dual centrifugal and magnetic brakes. 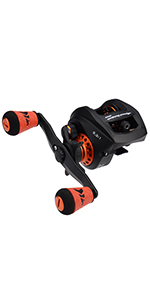 Plus tournament ready carbon fiber drag with 17.5 LBs of trophy fish stopping power, make the Spartacus baitcasting reel a strong contender. SMOOTH - A Spartacus baitcasting reel has: superior shielded 11 + 1 corrosion resistant ball bearings, CNC machined aluminum spool for smooth casting, powerful precision matched brass gears, instant stop anti-reverse for devastating hook sets, braid line ready ceramic line guide insert, and KastKing logo embossed hi-grade rubber cork handle knobs. 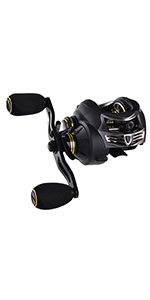 NO MERCY - A KastKing Spartacus baitcaster fishing reel with its versatile 6.3:1 gear ratio create an exceptional baitcasting weapon in your fishing tackle collection that will save you money and bring you years of fishing pleasure. GAME CHANGER - Go beyond the limits with this phenomenal, yet affordable new Spartacus baitcasting reel that is smoother and more powerful than any other brand baitcasters in its price range. 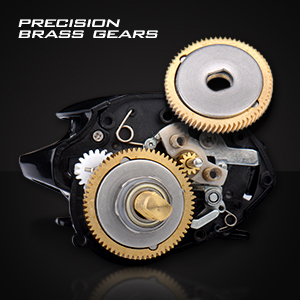 Dual Brake System: High-end Centrifugal and Magnetic Brake System. Left and Right Hand Models with KastKing Logo Embossed Hi-grade Rubber Cork Handle Knobs. 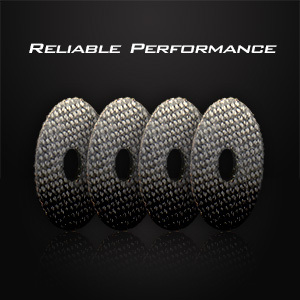 The reel feels like high quality and is smooth as butter. Heard so many good things about it that I had to get one and see for myself. Love this reel! Looks amazing as well. Light weight with smooth action. 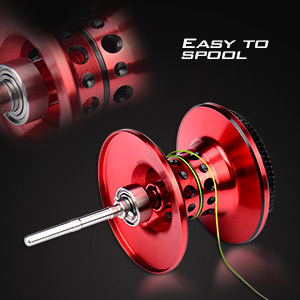 Great reel for the cost, very easy to use. I really, really enjoy this reel. I've only been using baitcasters for a couple of years, so I had problems with backlashing on my previous reel. 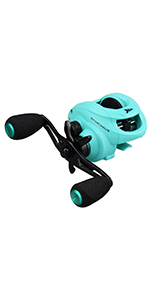 Not on this baby; she's smooth as silk!While I do absolutely love this reel, it feels a smidge on the cheap side, which is why it loses a star. 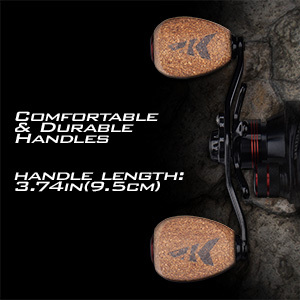 Very nice and smooth reel, very comfortable cork handles and matches very well with the Berkley Cherrywood Rod. I Recommend oiling it often to ensure that it works correctly and smooth. Love this reel. The look and quality is excellent. Bom dia. Informe, por favor, o tamanho (diâmetro) do furo da manivela. Tenho a intenção por uma manivela maior e preciso desta informação. Obrigado. What's the body made out of?